SEO is a technique helps search engines find and rank your site higher than the millions of other sites in response to a search results,SEO therefore helps you get traffic from search engines. 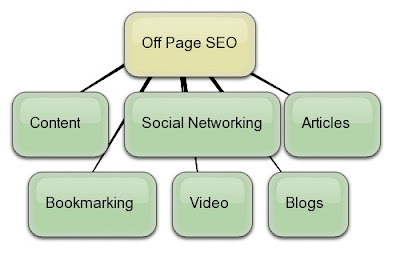 Mainly SEO further divided in to two categories they are ON Page Optimization, OFF Page Optimization. Step 2 :- Choose the set of keywords, for which you want to rank top (high)in search engines.Now, it is very important part of SEO to choose the right keywords for your website or blog, keywords that you are targeting must be related to the content of your website and for which top rank in search engines is easy to achieve and at the same time the keywords should have maximum searches so maximum traffic. After one has decided with the type and the content of your website, decide with the keywords that are related to the content of your blog or website.a tool which would identify and tell us the set of keywords for which ranking in google or for that matter in any search engine, is easy to achieve and has good amount of traffic.the tool for this is 'Google keyword tool'Google Keyword Tool:- This tool is used for keyword researching, with this tool one can easily know the competition and traffic a particular search term gets.Based on these results we can roughly estimate the time frame in which we can get the top rank, how easily we can get the top rank and how many visitors we can expect to our webpage once we get the top rank high for that particular search term. here please enter your list of keywords or topics. Enter your keywords in the keywords column and click search then, tick the 'exact option' on the left side. Herein you can see thousands of keywords that are related to the content of your blog website, choose the set of keywords where the traffic is maximum and at the same time the competition is less, it is ideal to choose the keywords where the comptition is below 20%. Write the list of such keywords and then choose the keyword in the list that has maximum traffic, as your domain name, at times such domain names might not be available so, atleast see that your domain name starts with those words. On page optimization involves changing the html code of the website's every page which wants to rank top (high) in search engines. Now, Firstly, choose set of keywords that are related to the content of your blog or \website. Before we discuss about both the types of optimization, domain name and domain page urls make an important part in the SEO. <Title> Tag :- These should contain anywhere between 65-100 letters, these are the words that should start with your keywords, the title of a webpage is displayed in the title of the website, in google organic search, the title of the website is displayed in the first line of the each result in blue colour, the title has to be interesting so that the reader is attracted to open the website. There should be only one title tag per webpage. Your title must start with the keywords that you are targeting to perform well in all search engines. The must have the keywords that you are targeting in the first 65 characters. title tag is present anywhere between the <head> and </head> tags of your webpages. Changing the tittle tag in the blogger:. Under any blogger or site click on Design --> Edit HTML --> just after the <head> tag give the title of your homepage. Like this word press for site tags also you need to cahnge the tags and as well as decorate the keyword tags and check the key word density with the help of key word checker. In this, the changes are made outside the website to rank top in all search engines. To add your url or blog to the Google web directory, go to www.google.com/addurl and submit you website. Within, 24-48 hours your site will be added in the Google search engine. just type in the search bar of any search engine:- site:"your website address"
Submit the site and all its WebPages to Google search engine. You can analyse your site performance in the search engine. You can check your website's keyword density 5.You can check your backlinks. You can have control over the google visiting to your site. SEO ON PAGE OPTIMIZATION: This video will clearly tell you how SEO ON page optimization will play vital role to get top in search engine. Your blog is very informative and helpful... Thanks…..keep it up. 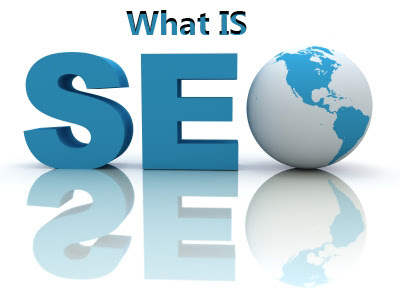 nice blog for the seo in details about the good information about the seo ? Nice article that really very helpful. Thank you for sharing valuable information. Nice post. I enjoyed reading this post. The whole blog is very nice found some good stuff and good information here Thanks..Also visit my page.Starter SEO PackageWebOptimiA is a 21st Century's Web Optimization provider company with a pioneer of providing WEB enabled services form last three year. We developed our own system for optimizing your campaign.